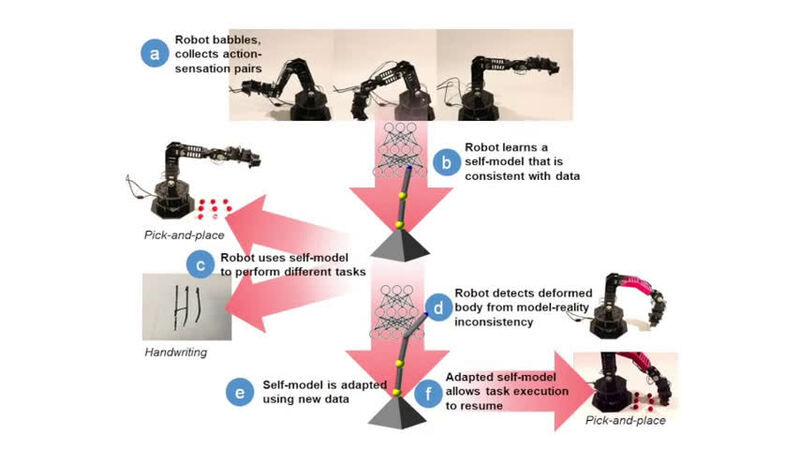 Researchers have made an advance in robotics by creating a robot that learns what it is, from scratch, with zero prior knowledge of physics, geometry, or motor dynamics. 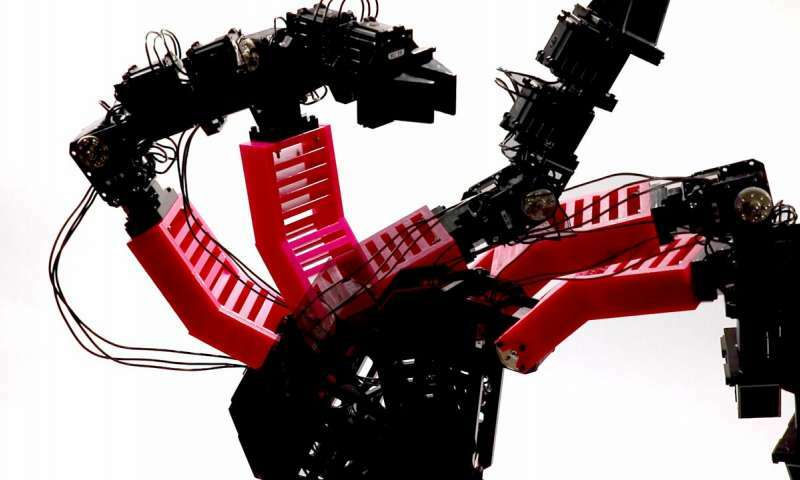 Initially the robot does not know if it is a spider, a snake, an arm—it has no clue what its shape is. Within a day of intensive computing, the robot creates a self-simulation. 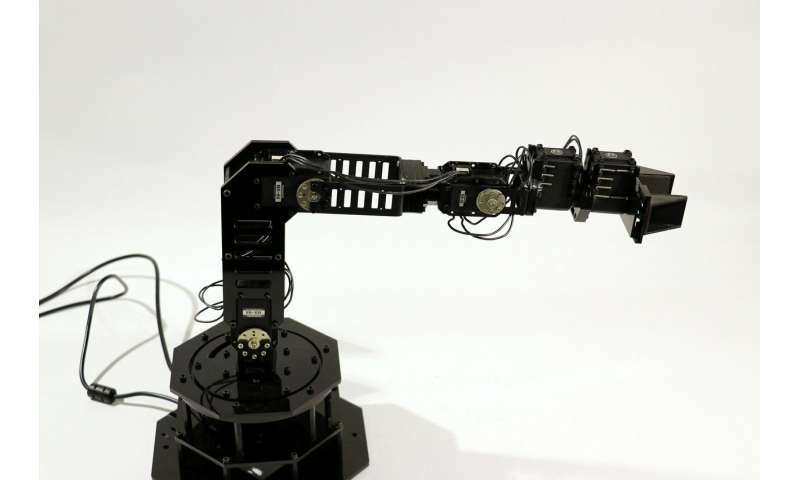 The robot can then use that to contemplate and adapt to different situations, handling tasks as well as detecting and repairing damage in its body. "If we want robots to become independent, to adapt to scenarios unforeseen by their creators, it's essential they learn to simulate themselves."